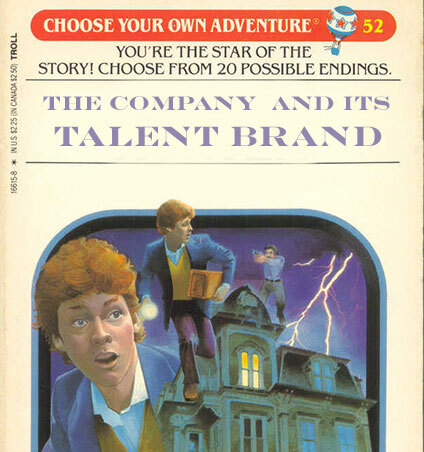 Do you remember first discovering those Choose Your Own Adventure books back in the eighties? I loved being able to make decisions that would determine my path. Would I find clear skies or thunderstorms? Reward or disappointment? Success or failure? The journey begins. You are a VP of Talent Acquisition at an exciting company with much potential. There are ambitious goals for the year ahead and you’re tasked with growing the team significantly. Q: Does your company want to attract and hire top quality talent? If no, turn to page 50. If yes, turn to page 2. 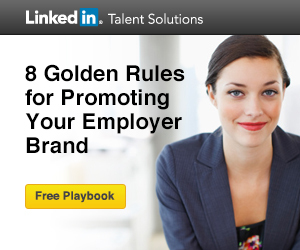 Page 50: Talent brand is likely not a priority for you. If top quality talent is of little importance, don’t waste resources on trying to engage the best. May good fortune come to you and your company through the remainder of your adventure. Page 2: I expected to find you here, all of you. Of course, almost everybody wants top tier talent because quality talent is the heart of every successful company. Q: Is your reputation as an employer so outstanding that hiring top talent for all your open roles happens efficiently and at a cost you are content with? If yes, turn to page 49. If no, turn to page 3. Page 49: Congratulations! You have figured out what no other company has been able to fully master. From here, your adventure is filled with champagne and caviar, glamour and privilege. You have won. Page 3: I expected to find you here, all of you. Even the most in demand employers recognize competition for top talent is fierce and to win the best people over, must be very thoughtful in their sourcing and talent brand strategies. Q: Are cross-functional teams like Marketing and Communications collaborating with your Talent Acquisition Team to develop and promote your unique and authentic Talent Brand? If no, turn to page 4. If yes, turn to page 25. Page 4: This is a well-travelled path because every company has been here at some point. The good news is it’s all part of your adventure and presents exciting opportunity to make new friends, learn, collaborate and ultimately impact your business in profound ways. Page 25: Welcome to the arena! I’m proud of you. It appears you and your company “get it.” You have entered a fresh and exciting space where only market leaders come to play. This is no time to rest however, the adventure has only just begun…….. The one undeniable trend that affects every company is the large-scale shift toward more strategic recruiting practices, and Talent Brand is a significant component of that trend. What decisions you make in regards to Talent Brand will have a substantial impact on the course of your adventure.